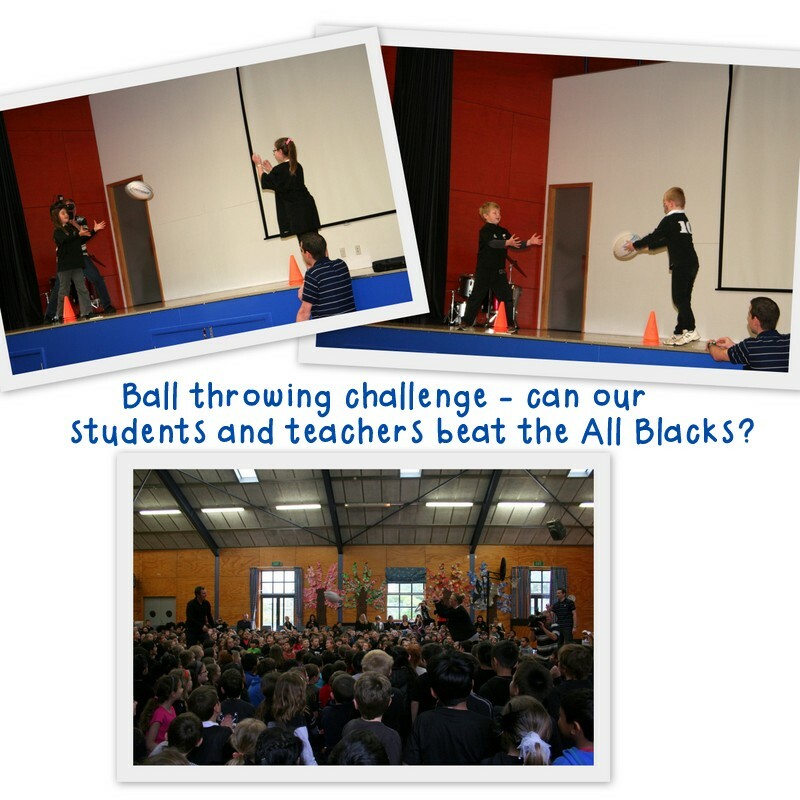 On Friday it was Black Out Day at Eastern Hutt School. 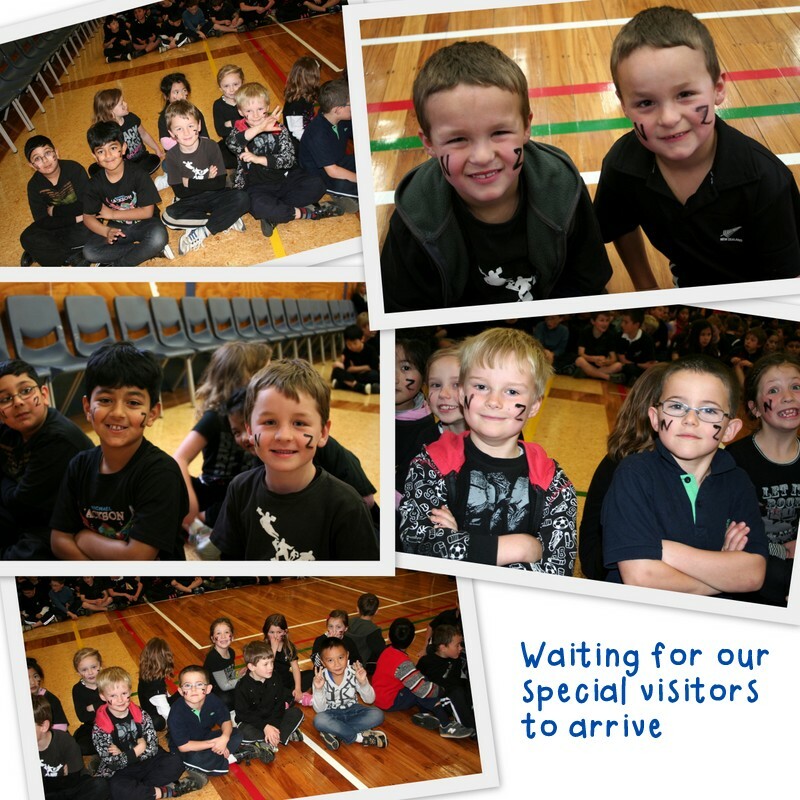 We all dressed in our All Blacks gear or other black clothes to welcome two very special visitors to our school - All Blacks Aaron Cruden and Wyatt Crockett! 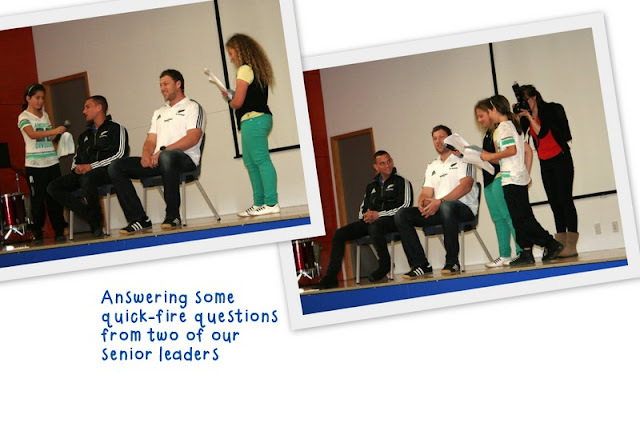 Here are some photos from our All Blacks assembly. 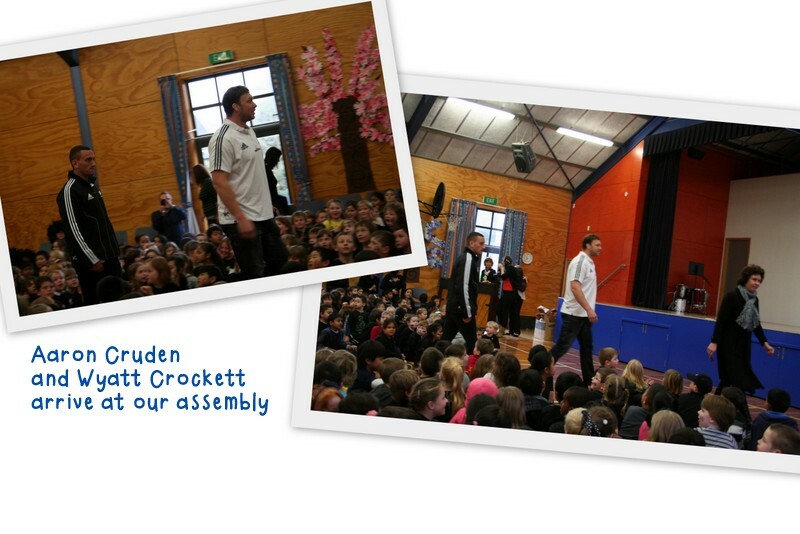 You can watch a video on 3news about our assembly here and read a story from the Dominion Post here. That looked so amazing meeting the two All Blacks. We are sure you had fun seeing them at your assembly. We wish we had All Blacks come to visit us.